When I'm working on a project, it usually takes a few minutes for me to get "in the zone" where I'm really focused on what I'm doing. When someone interrupts me, it then takes another few minutes for me to really start working again. That's not a big deal when the interruptions are few and far between. When they're coming in every few minutes, then it means tasks that should have only taken an hour can end up taking all day. This week Fast Company published an article with a few tips for being more productive. One of them was something I can't believe I hadn't thought of before: Turn on 'Do Not Disturb.' I definitely use the feature at night on my phone, but it's never occurred to me to mute the notifications on my computer while I'm trying to really focus on something. The idea is that things like chat and Facebook notifications pull you away from what you're working on. 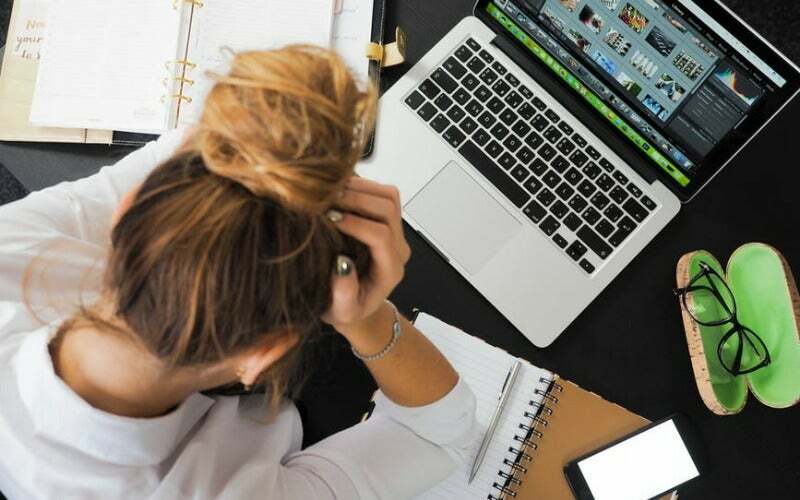 I definitely like those when I'm not trying to focus, so I don't want to eliminate them completely, but being able to stop them temporarily on your desktop (or phone ion that's what's bringing you down), and all of them at once, can be pretty useful. You probably know how to activate Do Not Disturb on your phone. It's in the Control Center on your iPhone (it's the moon icon) and can be accessed by swiping down from the top of the screen on most Android devices. On a Mac, click on the Apple icon on the top lefthand side of the page and then select System preferences followed by Notifications. From there, you'll be taken to a page where you can enable Do Not Disturb for your preferred amount of time. 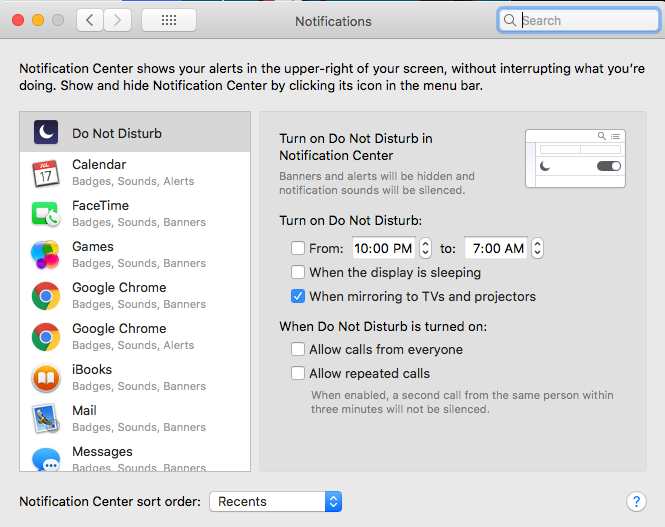 On a PC, you can activate the feature by right-clicking on the Action Center icon in your computer's taskbar notification area and then selecting "Turn On Quiet Hours." If you do turn it on, be sure to either set an end time when you do or make a reminder for yourself to turn the feature off when you're done with your project so you don't miss out on important notifications later on.